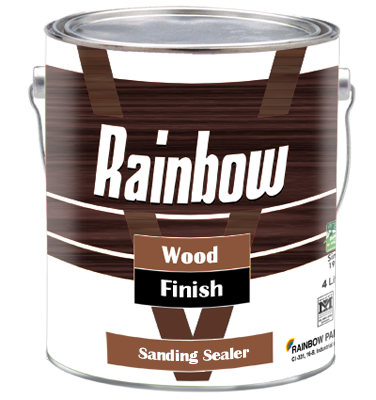 Rainbow sanding sealer is a high build semi gloss transparent lacquer. This is formulated to the stains, filling & fine wooden pores. This is generally applied before the finishing coat of Rainbow Nitrocellulose Lacquer. Application is preferably suggest by brush. Well into grains. Remove the surplus material by rubbing across the grains with coarse fabric. Composition: Based on selected pigments and binders which enhances the filling properties.